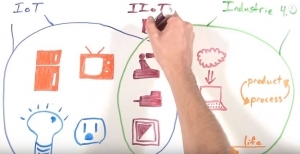 Watch this short video by MinutePROFINET to learn how IoT and Industrie 4.0 fit together to make the Industrial Internet of Things. 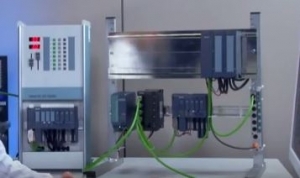 This sets the foundation for how PROFINET enables IIoT. • Topology overview, which automatically scans your PROFINET, displays all connected devices and allows for configuring components. • IO wiring Test. By reading and writing inputs and outputs, PRONETA ensures that the connections between distributed IO components and their sensors and actuators have been set up properly. configuration at an early stage! Get the Real Thing, Real Fast! 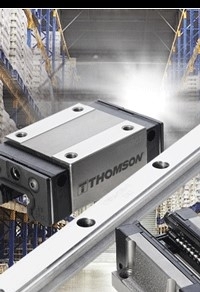 Thomson now stocks the most popular 400 Series Profile Linear Guide and Rail SKUs, ready for same and next-day shipment. • Wide offering of popular carriage styles with matched rails from the cut center. • Transport-grade profile rails provide the "just-right" fit with genuine Thomson quality. • Enhanced inventory in Marengo, IL, for same and next day shipments of carriages and full rails. • Immediate shipments limited to 50 units/order/SKU. • Cut-to-length rail shipments: up to 10 pieces in 2 days and up to 50 pieces in 5 days. • Accessories available to ship within two days. Expedited special machining available. 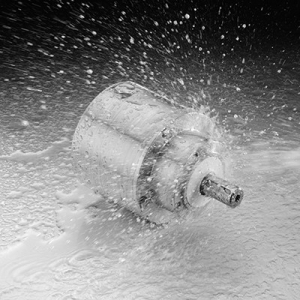 Meet even the most demanding applications with AquaTrue planetary gearheads. AquaTrue gearheads are perfect for food and beverage handling, packaging, and dispensing applications. These gearheads can be placed anywhere in your application designs - regardless of environmental factors. AquaTrue gearheads are able to handle caustic cleaning chemicals and high-pressure washdown, eliminating the cost of additional components such as enclosures, shielding or mechanical transmissions. 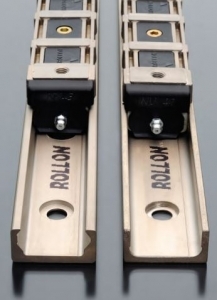 When it comes to linear motion rails, a high hardness value is critical. Unfortunately, some rail manufacturing processes don’t impart sufficient hardness to the rails. If hardness doesn’t extend to a sufficient depth, the component won’t be able to withstand heavy loads, resulting in time-consuming and costly downtime. To gain maximum life for your linear guide, you’ll want to consider the hardening process, the material being hardened and how to finish the rail to optimize its performance. That way, quality manufacturers can make the best linear rail for your industrial application. To harden their rails, a manufacturer can use nitriding, a heat treating process that creates a case-hardened surface with thicknesses between 0.2 and 0.3 mm. When you consider the kinds of heavy loads that are applied to industrial raceways, rails that have thin nitrided surfaces will tend to crack under load. New Model MA58H is a 58 mm hollow-bore absolute encoder. Available with SSI or CANopen, it offers both single turn & multi-turn resolution. 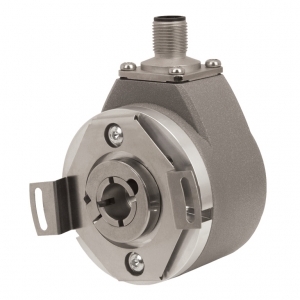 The Model MA58H absolute encoder is a heavy duty, rugged, and reliable multi-turn hollow-bore absolute encoder. This encoder is designed for harsh factory and plant floor environments, and is especially suited to applications where you need an encoder to retain position information after power-off scenarios. The Model MA58H has an operating temperature range of -40° C to 85° C and a sealing rating of IP65 on the shaft, with the balance of the unit rated to IP67. Available with bores up to 3/8" or 14 mm, and with two flexible mounting options, the Model MA58H is easily designed into a variety of applications. AndonSPEED optimizes your processes at packaging and shipping stations because it provides a visual notification of where problems have arisen. Permanent time savings are possible because of quick fault repairs. 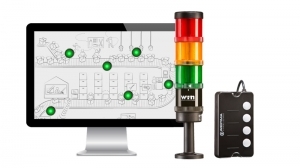 The wireless network sends signals to the workstation or central control station and can send an email notification if required. • Quick fault repair for more "units per hour"
With a flange size of 42 mm, the motors of the PD2-C series are ideally suited for applications that require less torque or have space constrictions, such as in laboratory automation. Both the controller and the encoder are already integrated. The controller can be accessed via USB or CANopen. The BLDC version of the PD2-CB has a nominal amount of 105 W and a peak output of 315 W at an operating voltage of 12-24 V. Its nominal torque is 0.25 Nm, and its nominal speed 4,000 rpm. The PD6-C is the largest motor of Nanotec's P&D series and features very high power density in relation to its size. 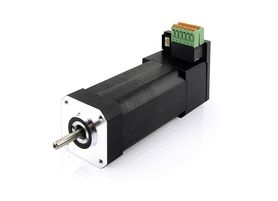 It is equipped with both a USB and a CANopen interface and has a nominal torque of up to 8.8 Nm. The PD6-C is available in various lengths and designed for an operating voltage of 12-48 V.